Asok Pande, the petitioner who filed the Public Interest Litigation seeking regulation of powers of CJI as ‘Master of Roster’, would not have been permitted to set foot in the SC, if the above test of the previous record of public service was rigorously applied to him. Because, he has a record of filing frivolous and scandalous petitions, which perturbed the Allahabad High Court so much that he was restrained from entering the court premises for two years. Contempt proceedings were initiated against him for imputing communal overtones to playing Sufi music and serving non-vegetarian food during the sesquicentennial celebrations of Allahabad High Court. This was following the dismissal of another petition filed by him which challenged the sesquicentennial celebrations on the ground that it glorified British rule. Justice DY Chandrachud, who authored the judgment in Pande’s case upholding the prerogative of CJI in constituting benches, while serving as Chief Justice of Allahabad HC, had initiated contempt against Pande for making communal allegations against another sitting judge. "The averments in the petition, including those which have been extracted above, prima facie, indicate that a conscious and premeditated attempt has been made to bring the Court and the Judge of the Court into disrepute. This is a calculated attempt to sow the seed of hatred and to divide the institution on communal lines". These were the observations in the order passed by Justice Chandrachud as the Chief Justice of Allahabad HC while issuing contempt notice against Pande. While the contempt proceedings were going on, Pande was found guilty by Allahabad HC in another contempt proceedings during March 2017, for misbehavior in court while appearing as counsel in a petition filed by his daughter. He was sentenced to three-month imprisonment and was restrained from entering the premises of Allahabad High Court for two years. The judgment noted that Pande had “crossed all boundaries of recklessness and indulged in wild accusations”. During October 2017, in the SLP filed by Pande, the Supreme Court refused to interfere with the restraint order passed in regard to entering the HC premises but suspended the sentence. Anyhow, with the ban on entering the Allahabad HC in force, Pande seems to have shifted his turf to the Supreme Court, for espousing larger institutional causes. It appears that even his PIL seeking to regulate the powers of CJI was not less provocative. “Some of the averments which have been made by the petitioner are scandalous. However, we have considered it appropriate to allow the matter to rest with a caution that the petitioner must be more responsible for the manner in which he seeks to draft pleadings in future filings”. These were the observations of the Supreme Court while dismissing his petition. 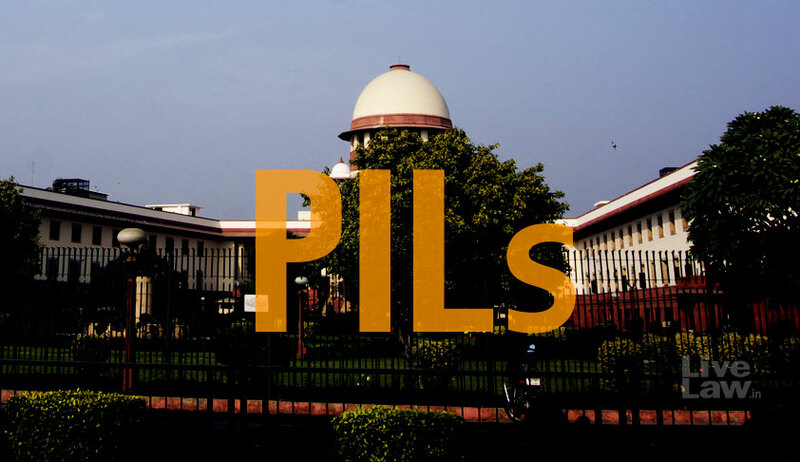 On April 9, the petition came for admission before the by CJI-led bench and was reserved for orders after hearing the “brief arguments” of Pande, who had appeared as party-in-person. Those who witnessed the proceedings reveal that the arguments were over within five minutes. Within two days, on April 11, judgment was delivered dismissing the petition, stating that CJI had absolute prerogative in constituting benches and allotting cases. Before Pande’s petition, Shanti Bhushan, former Law Minister, had filed another petition on April 2 seeking similar reliefs to regulate the powers of CJI as ‘Master of Roster’. Bhushan had also written a letter to the SC Registry requesting it not to list the matter before the CJI, as the powers of CJI in his administrative capacity was questioned in the petition. But, before Bhushan’s petition got listed, the petition filed by Pande was heard and dismissed. It was on April 12, i.e., the next day of dismissal of Pande’s petition, that Prashant Bhushan, counsel for Shanti Bhushan, made a mention before the bench led by Justice Chelameswar, seeking urgent listing of the matter. However, Justice Chelameswar refused to pass orders stating “I don’t want another reversal of my order within 24 hours”, palpably alluding to the unprecedented proceedings of November 10. And the matter was mentioned before the CJI-led bench, where Prashant Bhushan lamented that despite continuous follow-up with the Supreme Court registry for almost a week, the petition has not been numbered. Thereupon, the matter was listed before a division bench comprising Justice AK Sikri and Justice Ashok Bhushan, before whom Dushyant Dave and Kapil Sibal made extensive arguments, and the bench reserved the matter for orders on April 27. Given the importance of the issue, the bench sought for the views of Attorney General in the matter. Although extensive nature of arguments were made in Shanti Bhushan’s case as opposed to the ‘brief arguments’ in Pande’s case, it remains to be seen how fruitful they will be as it may not be possible for the two-judges bench to take a view different from the judgment of the three-judges bench led by CJI in Pande’s case which affirmed the power of CJI to constitute benches. Curiously, on April 27, Asok Pande made appearance in Bhushan’s case, and opposed the plea, making a volte-face from his petition. On the very same day, Pande mentioned another petition before the CJI-led bench, where he sought to take contempt proceedings against four SC judges who held the press conference on April 12, contending that they challenged the sole prerogative of CJI as the Master of Roster. But the Bench comprising CJI Dipak Misra and Justices AM Khanwilkar and DY Chandrachud denied urgent hearing of the petition.